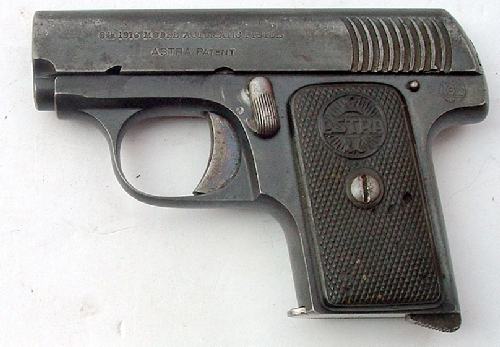 6.35 mm (.25 acp) - About good condition. - Frame 95-98% dull plum; slide 30%, w/ light pitting on most of right side; ledgible markings including “Hope” logo. Working; light roughness throughout bore; hard rubber grips w/ a few “worm holes”, rt. cracked.